Airgain is recognized as a premier provider of performance-enhancing antenna systems and design-stage integration. Tier one carriers and leading chipset vendors request our antenna solutions to be designed into their latest home networking devices and reference designs. Our innovative antenna systems open up new possibilities in Wi-Fi services requiring high performance video and data throughput, broad coverage footprint, and carrier grade quality of service while offering customers design flexibility. Our antennas are found in devices deployed in carrier, enterprise, and residential wireless networks and systems, including set-top boxes, access points, routers, gateways, media adapters, digital televisions, IoT devices, and more. Airgain is excited to announce that we have acquired Antenna Plus, an innovator of high-quality antenna products for mobile and automotive fleet applications for government, public safety, and Industrial IoT markets. We believe Antenna Plus will accelerate Airgain’s penetration into several new and high growth markets, including mobile and automotive connectivity solutions for mission-critical applications, as well as outdoor antenna solutions for Industrial IoT applications. Airgain has been designing and evaluating wireless antenna solutions for 802.11-based wireless LAN devices since our inception in 2004. 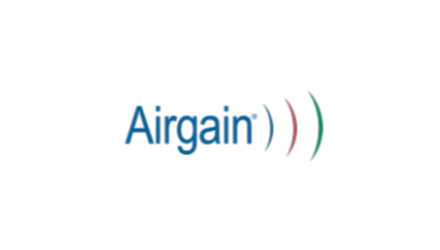 Airgain has developed a set of proprietary performance metrics, measurement methodologies, and automated test conditions to enable accurate and repeatable characterization of the relative OTA performance of 802.11-based WLAN devices from routers, gateways, and set-top boxes, to TV sets. Our benchmark testing provides an accurate assessment of the performance characteristics for devices to enable buyers to make informed decisions in selecting the best antenna solution for their needs. Our extensive OTA test process utilizes industry standard measurement tools and our proprietary implementation of the IEEE 802.11.2 Draft Recommended Practice for the Evaluation of 802.11 Wireless Performance. Airgain’s proprietary over-the-air testing process has been established as an industry leader for wireless throughput testing.